Every applicant for a Canada Immigration Visa and some applicants for temporary status in Canada are required to undergo a medical examination by a medical officer. Though medical examinations are generally confined to a standard physical exam, including blood tests, urine tests, and x-rays, prior medical records and the applicant's mental state are also examined. The supply of social or health services that the person may require in Canada and whether the use of such services will deprive Canadian nationals of these services. When it comes to permanent residency and refusals based on health reasons, it is possible to consider seeking a legal remedy by demonstrating that the applicant will, in fact, not exceed the estimated average costs of medical treatment of Canadians or that there are important humanitarian considerations that should warrant an exception. This can be done by providing a detailed response to a fairness letter from the government prior to a refusal or by seeking a judicial review in Federal Court if the decision appears unreasonable. In certain circumstances, for temporary stays in Canada, an individual who does not meet the Canadian medical requirements may be granted a Temporary Resident Permit (TRP) to enter Canada. *The excessive demand component is waived under the Family Sponsorship category of Canada immigration for the spouse, common-law partner, conjugal partner and dependent children of the sponsor. The sponsored person(s) still may be refused if their condition is considered to be a danger to Canadian public health or safety. 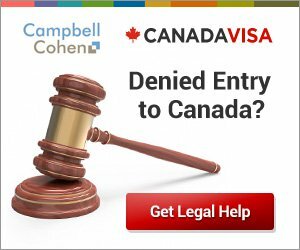 Contact us today to discuss how we may be able to assist you with potential medical inadmissibility to Canada. For more information about Medical Inadmissibility, see our Medical Examinations FAQ.